You may not have noticed—especially under heavy looks like this—but Olivia Culpo has a seriously gorgeous complexion. And as you&apos;ll soon see, she really works at it! The 25-year-old former Miss Universe turned actress and "influencer" is a self-proclaimed beauty junkie who has struggled with both cystic acne and dryness, due to frequent flying. But even looking at her skin close-up, you&apos;d never know it. "In my early 20s, I began experiencing breakouts from stress, poor diet, travelling, and not getting enough sleep," she told Byrdie. "Stress affects every area of life including sleep, hormones and diet. Travel can be really taxing on the body overall, and, for me, I found it was really drying out my skin. I began to develop cystic acne. After making a few lifestyle changes and switching up my skincare routine, my skin has been crystal clear." Close-up of Olivia Culpo&apos;s skin. Surprisingly, Olivia is not one of those celebs who rely on a trusted facialist and a carefully-edited routine from two or three brands. Nope, Olivia mixes and matches high-end products with natural remedies and tons of beauty gadgets—plus facials from Kate Somerville, Nurse Jamie and Skin Worship. Water: "I don&apos;t do too much in the morning. I actually don&apos;t even wash my face, just rinse it with water." 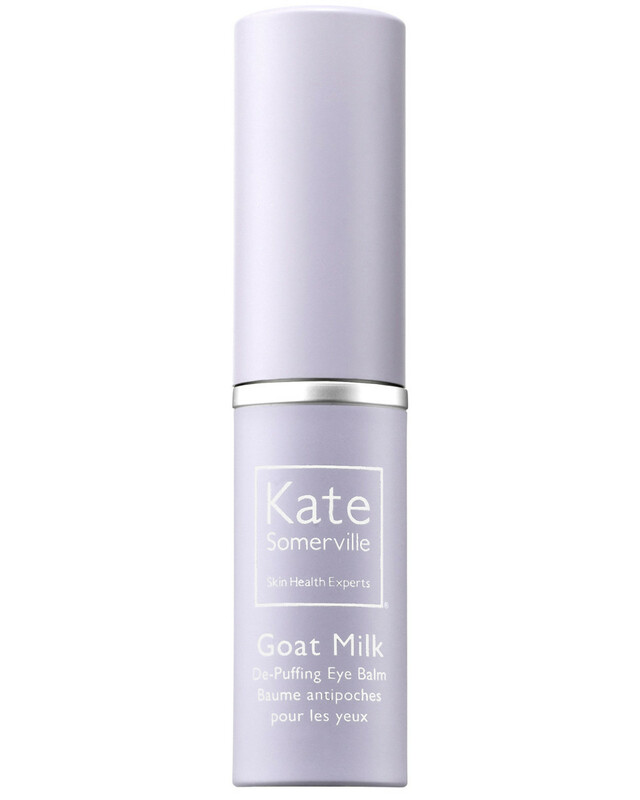 Kate Somerville Goat Milk De-Puffing Eye Balm: "The first thing I do when I get up is use Kate Somerville&apos;s under-eye de-puff stick." La Mer The Eye Balm Intense: "Then, I will put on La Mer eye cream. I think it&apos;s really important to invest in areas where skin is delicate." Revision Skincare Intellishade Anti-Aging Tinted Moisturizer with Sunscreen SPF 45 (mixed with Dior Hydraction Deep Hydration Skin Tint, now discontinued): "I use about a dime-size amount of each. I love the colour and coverage when I mix the two. Plus, they have both have SPF, which is great to protect your skin throughout the day." 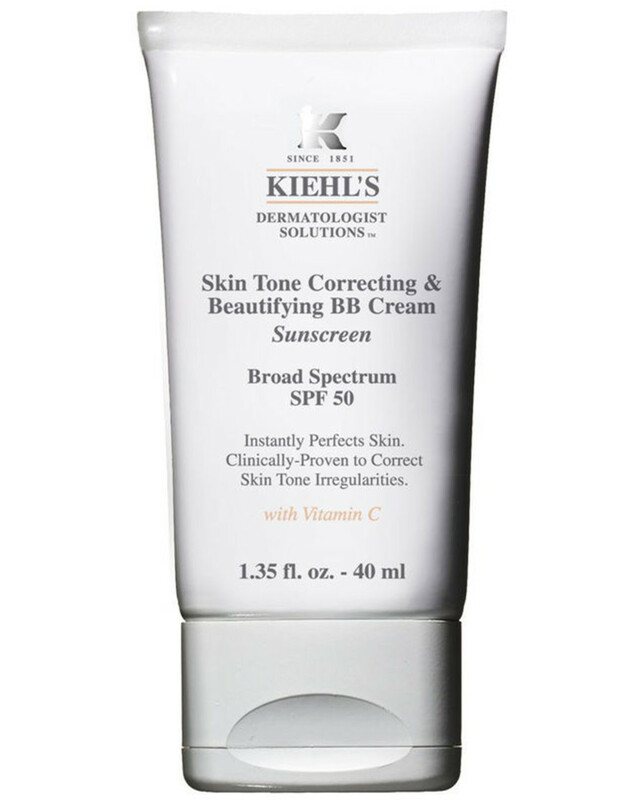 Kiehl&apos;s Skin Tone Correcting & Beautifying BB Cream SPF 50: "I love Kiehl&apos;s tinted moisturizer. It&apos;s very hydrating and sheer, which I like for minimal coverage. I really try to be diligent about keeping my face out of the sun, or at least try to be diligent about wearing SPF. Even after one day in the sun, I&apos;ll notice more freckles on my skin." 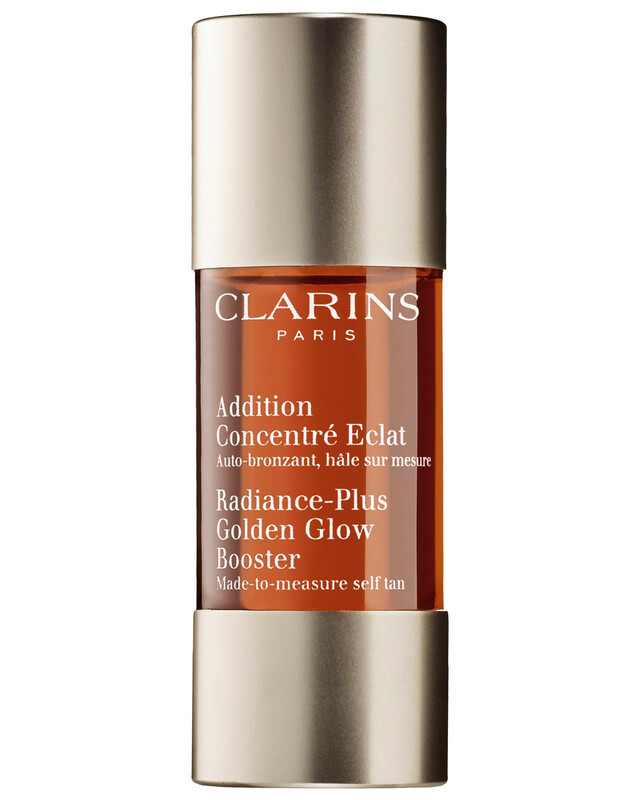 Clarins Radiance-Plus Golden Glow Booster: "If I&apos;m feeling a bit dull in the morning, I&apos;ll add a couple of drops of Clarins Glow Booster to my moisturizer." 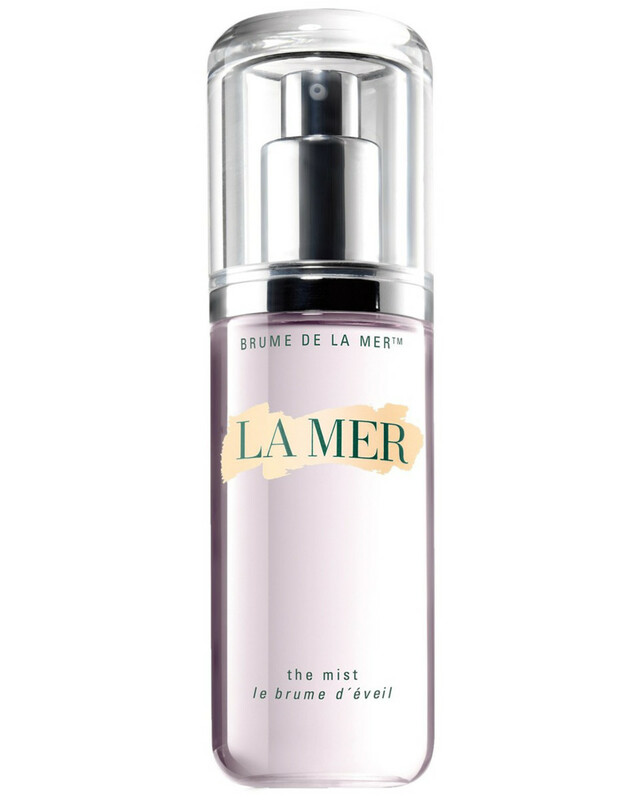 La Mer The Mist: "I&apos;ll use La Mer&apos;s beauty hydrating spray. That&apos;s pretty much it." 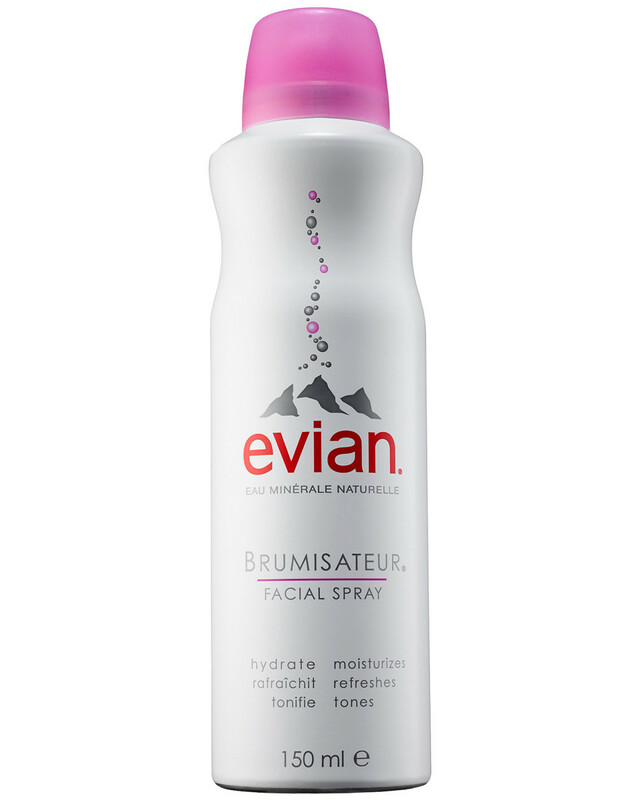 Evian Brumisateur Facial Spray: "I like to carry around a hydrating spray, like Evian. It doesn&apos;t have to be expensive, but it will keep skin hydrated. Your makeup can get really baked on when it&apos;s hot out, so you can get more of a dewy look if you incorporate a hydrating spray." Murad Essential-C Cleanser: "At night—every single night—I use my Clarisonic and a cleanser, like the Murad Essential-C cleanser, to take off my makeup." 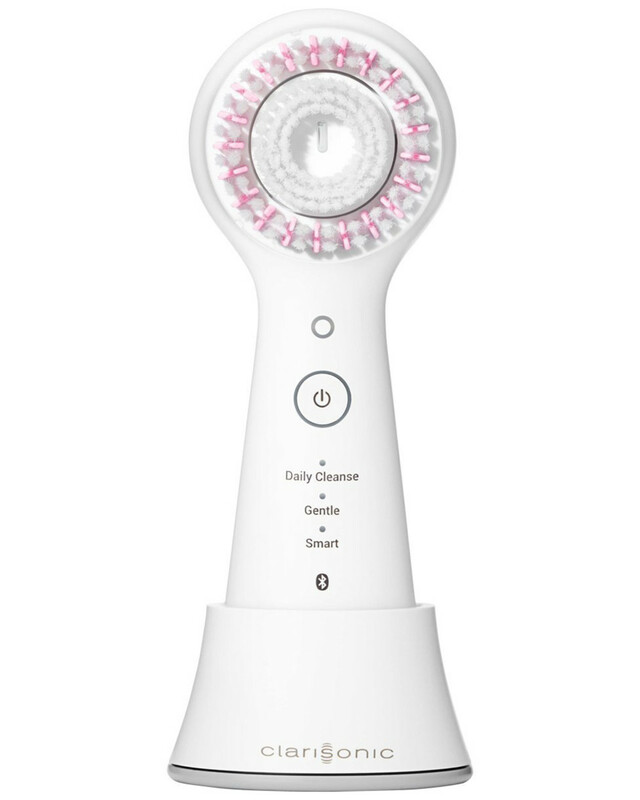 Kate Somerville Gentle Daily Wash: "I start with a Clarisonic and then I use Kate Somerville gentle face wash."
Clarisonic: "Nothing cleans my skin as well as it does. Even if I go a day without using it, I see a difference in my skin. It removes makeup so well and so much better than your hands alone. 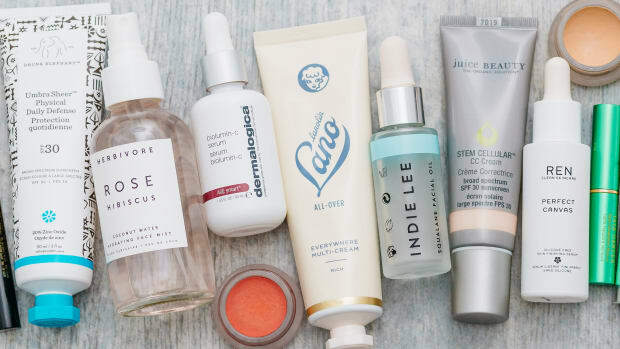 I don&apos;t have to worry about getting a blemish or the makeup clogging my pores." 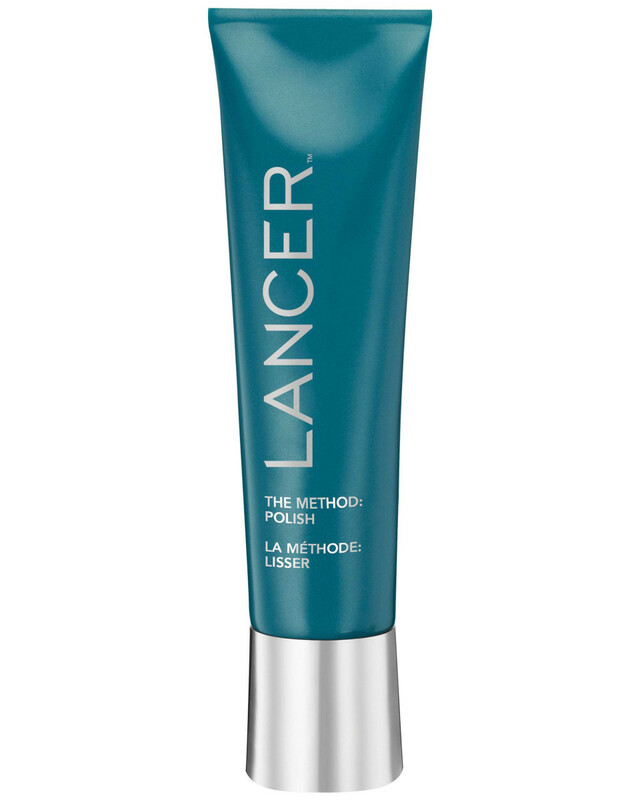 Lancer The Method: Polish: "I love using Dr. Lancer&apos;s polish scrub." Dr. Dennis Gross Skincare Alpha Beta Universal Daily Peel: "For more of a peel, I use Dr. Dennis Gross&apos; Alpha Beta Peel." 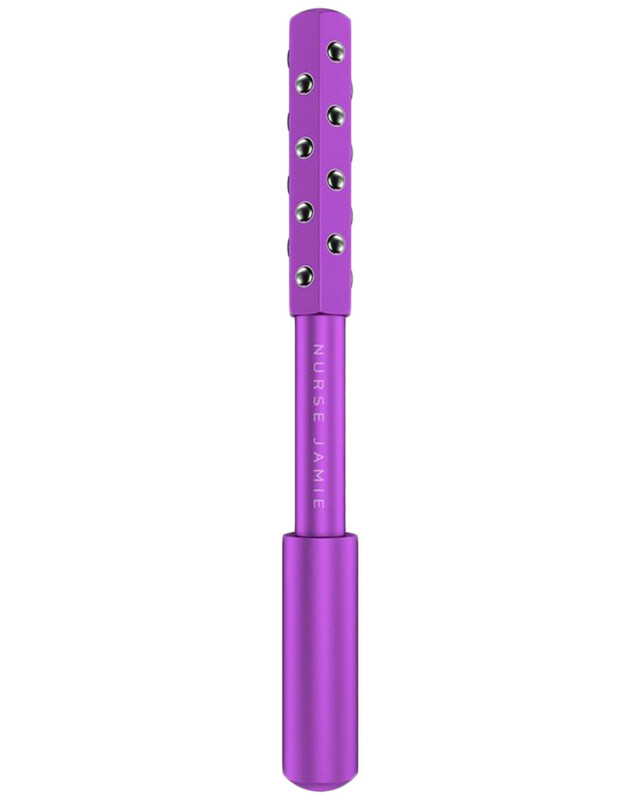 Nurse Jamie Uplift Facial Massaging Beauty Roller: "It is basically just a roller that you can use after washing your face. It helps to stimulate the collagen, and it&apos;s incredible. It is one of my favourite tools." 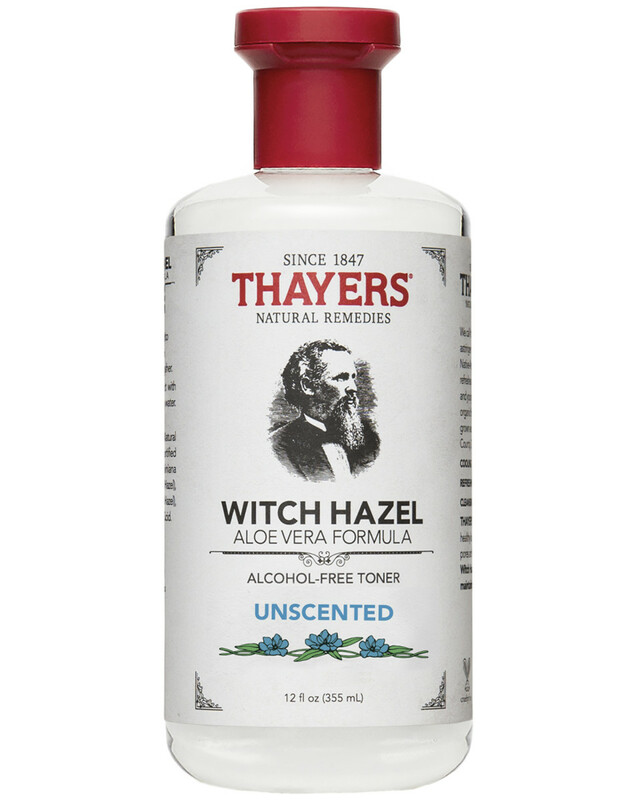 Witch hazel: "When I do start to notice a blemish forming, I immediately clean the area. I&apos;ll use my daily face wash, but also use witch hazel after to really make sure I remove all dirt and oil." 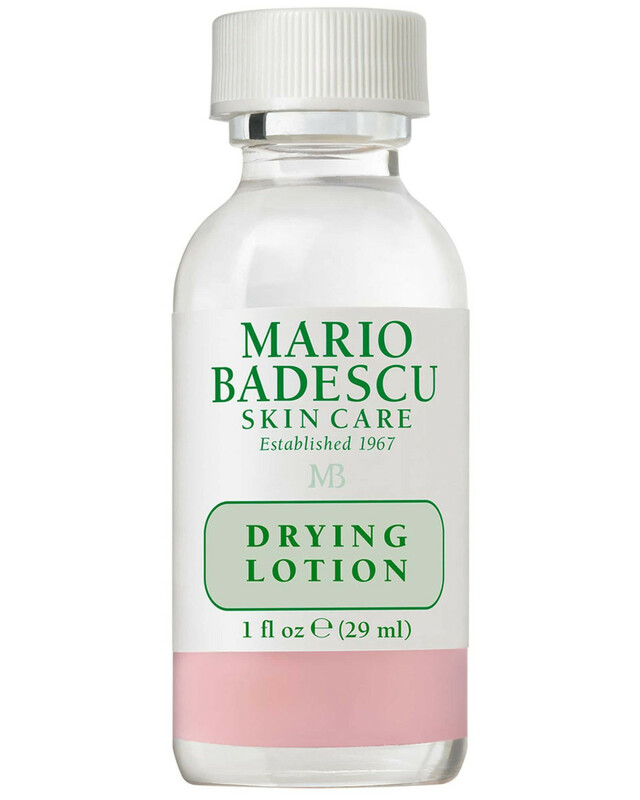 Mario Badescu Drying Lotion: "I&apos;ll use [it] after witch hazel. I even sleep with this on a breakout to dry it out." 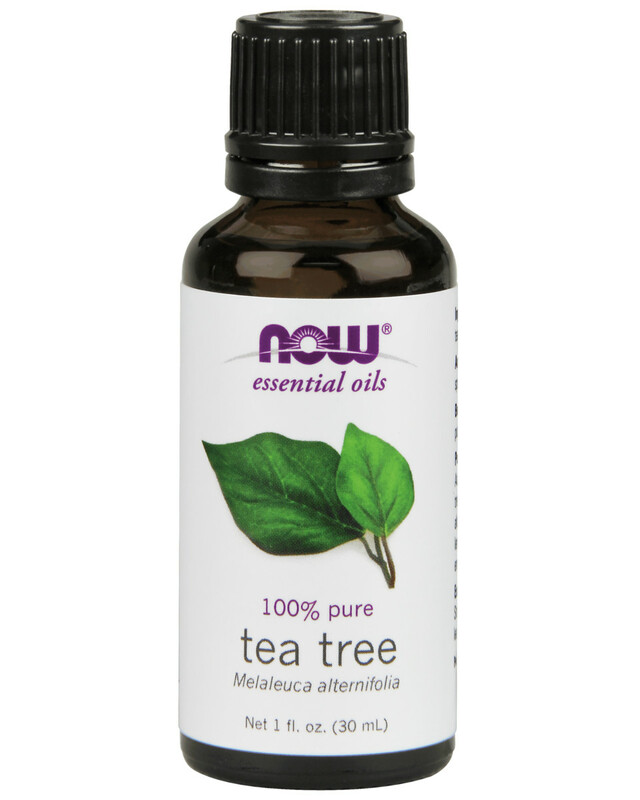 Tea tree oil: "It helps lighten the red marks, produce new cells in the skin, and get rid of any sort of redness from any sort of breakouts I might have." Adore Cosmetics Vitamin C Targeted Age Correcting Serum: "I&apos;ve been using Adore&apos;s Vitamin C serum to get rid of red marks, which I think is really important for the spring and summer when you&apos;re out in the sun more. You want to make sure you get rid of any dark spots and are protecting your skin against any pigmentation." 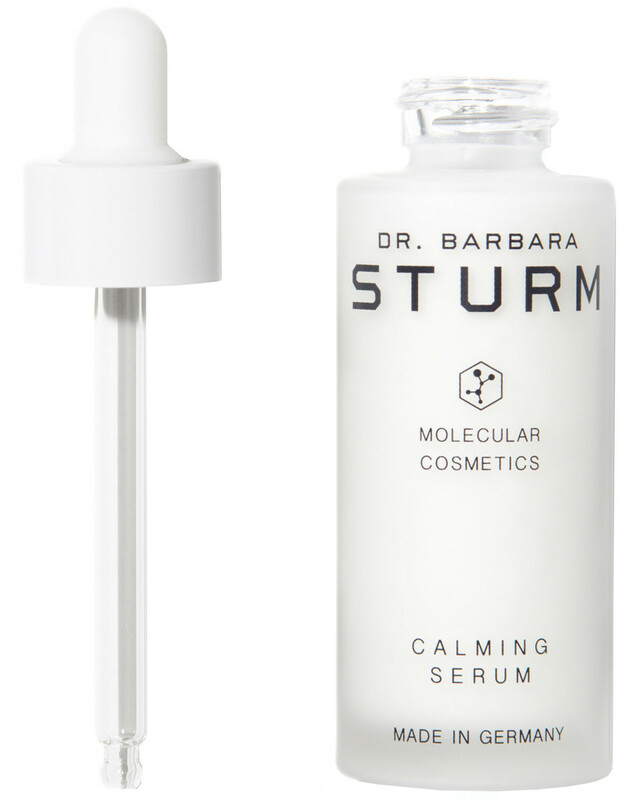 Dr. Barbara Sturm Calming Serum: "I&apos;ve also been using Dr. Sturm serum." Charlotte Tilbury Charlotte&apos;s Magic Night Cream: "I use Charlotte Tilbury Magic Night Cream after I spot-treat." Eucerin Aquaphor Original Formula: "If I&apos;m really, really dry or travelling, I&apos;ll use Aquaphor on top of my night cream." Coconut oil: "Coconut oil is really my biggest beauty secret. Sometimes, I&apos;ll use coconut oil on my face on top of my moisturizer if I&apos;m extra dry." Charlotte Tilbury Magic Eye Rescue: "For under-eye, I&apos;ll either use Charlotte Tilbury or Dr. Sturm, but either one of those products for me is really good." SK-II Facial Treatment Mask: "I layer on masks and sometimes I&apos;ll even sleep in one! SK-II makes the best sheet mask. I definitely use masks more frequently when I&apos;m travelling." Hanacure The All-in-One Facial: "It&apos;s literally the best and most uplifting mask I&apos;ve ever tried. It&apos;s brand-new and it&apos;s so, so good." "I love making a face mask out of avocado and honey. The vitamin E in the avocado is really, really hydrating and the honey is antibacterial. I notice that in the winter my skin is way more sensitive and I get red more easily, and this helps with that, too." 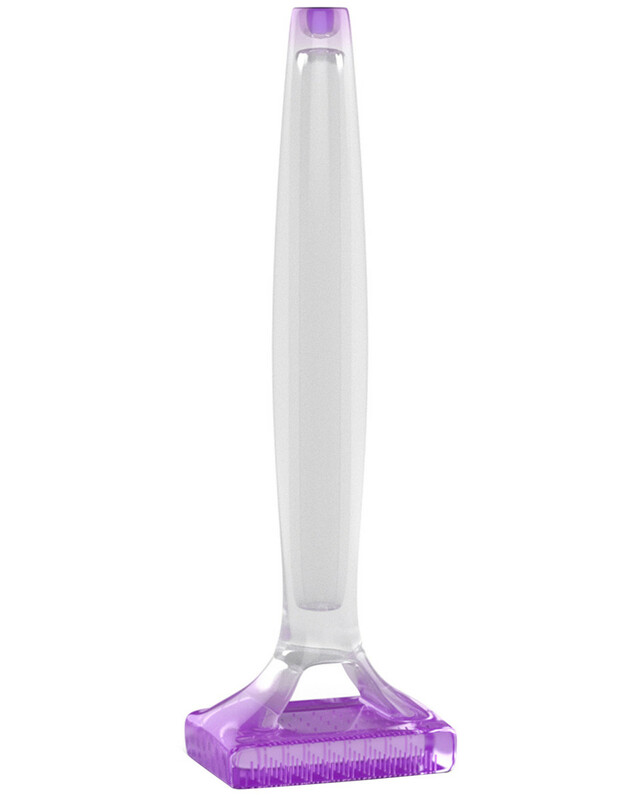 Nurse Jamie Beauty Stamp: "It stimulates collagen and minimizes pore size." Sirius Pulsar Blemish Clearing Device: "Since my breakouts were more cystic and under the skin, this was really helpful for me. The blue light helped kill bacteria that was much deeper than on the surface of the skin." Kate Somerville: "Facials can get pretty pricey and lately, I&apos;ve been loving Kate Somerville." Nurse Jamie: "Facials at Nurse Jamie LA are on another level." "To help with my breakouts, I started by changing my diet. I tried to incorporate more greens and cut out dairy. This made such a difference. To be honest, I have a major sweet tooth and I love ice cream. Ice cream has both sugar and dairy, which can be really hard for your body to digest. Once I cut this out of my diet for a while and added more greens, my skin began to clear up." "I also try to be cautious about monitoring my salt and alcohol intake when I have a big event coming up. That stuff just comes right out and shows up on your skin." "I drink about a gallon of water every day. It seems really basic, but it makes such a big difference." 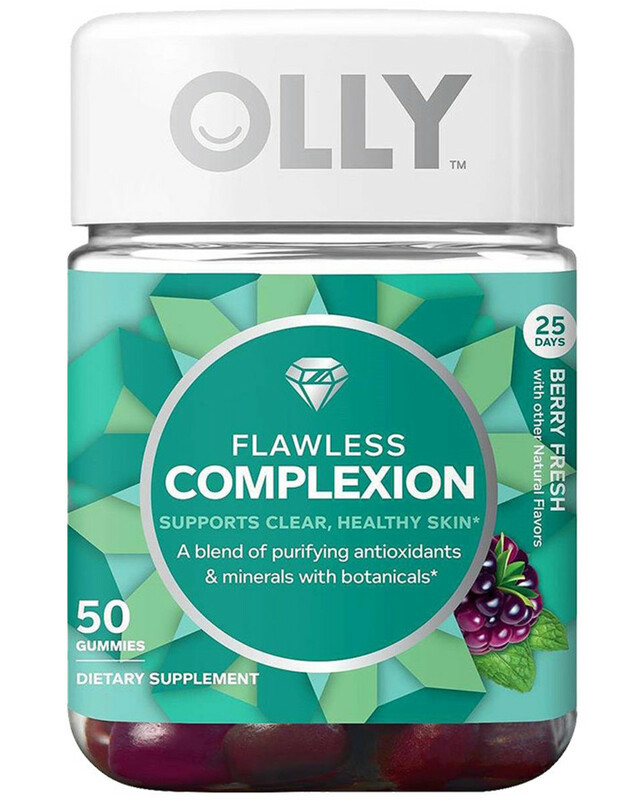 Olly Flawless Complexion: "I take them every day, and that plus my regular routine has made my skin look better than it has in months. I think it&apos;s because [the gummies] are packed with purifying antioxidants." "I recently started to go to a personal trainer and that&apos;s really been a game-changer for me—I&apos;ve seen a real difference in my body. That&apos;s just a couple of times a week though, so on the other days I&apos;ll go to SoulCycle, FlyBarre or Pilates, or I&apos;ll just run on the treadmill or go on a hike." "Yoga has really been a lifesaver! It has really helped with relaxation, sleep and balance between work and social life." "I started meditating when I was 18 years old. My mom actually introduced it to me, and my older sister is a yoga instructor. I do fall in and out of it—it&apos;s really hard to do it every single day like you&apos;re supposed to—but I find that when I do take 15 minutes in the morning and 15 minutes before bed, it makes a huge difference in my day-to-day life." Thanks to The Cut, The Coveteur, PopSugar, InStyle, Allure, Byrdie, Daily Mail, Harper&apos;s Bazaar, Us Weekly, People, New Beauty and Well + Good. 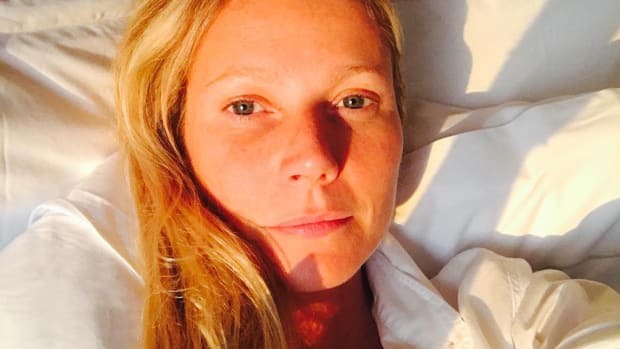 What do you think of Olivia&apos;s skincare routine?